Customer Picture Number 466 Selected. Cool Car decals applied. Sean's custom Squatch Out windshield banner decal and black American flag. 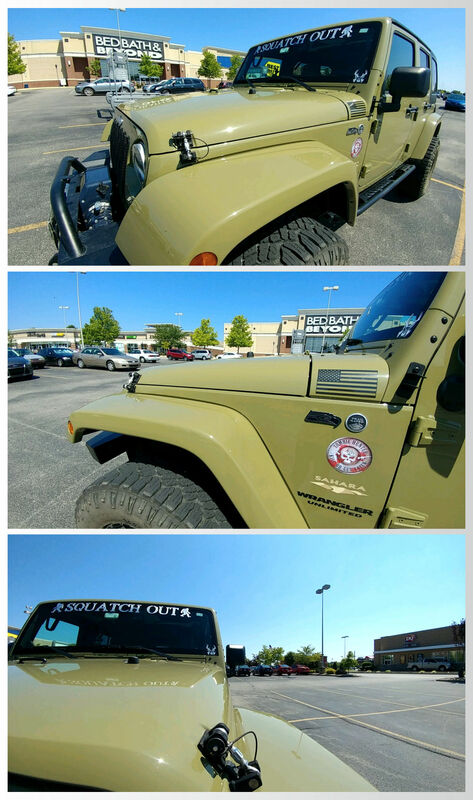 Awesome Jeep, Sean!